This history of the crusades ...sketches the conditions in...Occitania during the twelfth and thirteenth centuries, briefly details the origins and beliefs of Catharism, and contains a narrative account of the crusades and their consequences. When Jacques Lusseyran was an eight-year-old Parisian schoolboy, he was blinded in an accident. In 1941, when he was seventeen, that world was Nazi-occupied France. Lusseyran formed a resistance group with fifty-two boys and used his heightened senses to recruit the best. Eventually, Lusseyran was arrested and sent to the Buchenwald concentration camp in a transport of two thousand resistance fighters. He was one of only thirty from the transport to survive. Some books are like revelations: they open the spirit to unimaginable possibilities. The Chalice and the Blade is one of those magnificent key books that can transform us and...initiate fundamental changes in the world. From Publishers Weekly: "... convincingly documents the global shift from egalitarian to patriarchal societies, interweaving new archeological evidence and feminist scholarship. Established by the Catholic Church in 1231, the Inquisition continued in one form or another for almost seven hundred years. Though associated with the persecution of heretics and Jews — and with burning at the stake — its targets were more numerous and its techniques more ambitious. 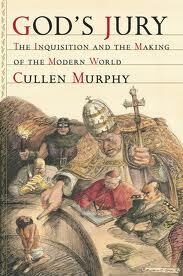 The Inquisition pioneered surveillance and censorship and “scientific” interrogation. 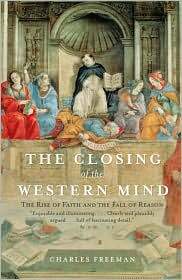 As time went on, its methods and mindset spread far beyond the Church to become tools of secular persecution. ~amazon.com. This is historical biography as it should be written... The author uses the letters, chronicles, and testimony at Joan's trial to thrust the legendary aspects of this young girl's life into the background and create an alive, believable human being. The translator, Edward Hyams, received the Scott-Moncrief Translation Prize in 1965 for this book. A brief introduction and a section of profiles of the major players make this thorough book accessible to the general reader. Though the writing is sometimes dry, Pernoud and Clin do an admirable job of bringing clarity to their complicated subject. This is the first English translation of a book published in 1986 in France. 12 illustrations, 8 maps. Drawing on eyewitness accounts... , Richey goes beyond what Joan did in her amazing career, analyzing how she performed her martial feats. The first study in English to dig deeper into the mechanics of Joan's military career, and the first English treatment by a professional soldier with battlefield experience, this vivid account explores Joan's achievements in winning the loyalty of her men. ...warriors, priestesses, and matriarchs come to life in this ... account of one archaeologist's search for the truth. ...What emerges is a thrilling and exotic adventure that stretches from Europe to Asia and a provocative re-examination of gender roles for the 21st century. Here, archaeologically documented, is the story of the religion of the Goddess. Under her, women’s roles were far more prominent than in patriarchal Judeo-Christian cultures. Stone describes this ancient system and, with its disintegration, the decline in women’s status.